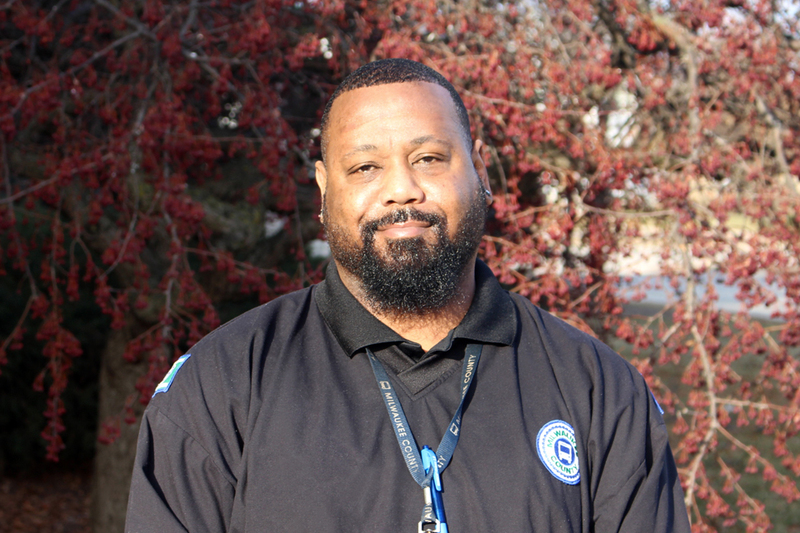 MCTS Driver Shannon Johnson remained calm on November 27th, 2018 when he witnessed a rollover crash directly in front of his bus. Surveillance video shows that a car ran a red light and hit a SUV at the intersection of Fond du Lac and Center in Milwaukee. The SUV flipped over and came to rest along the sidewalk. While MCTS Dispatchers contacted authorities, Shannon jumped out of his bus and ran towards the smoking vehicle. Shannon looked inside and saw that a man was trapped. He asked whether anyone else was inside. The man said ‘no,’ prompting Shannon and other witnesses to work together to pry open the door. The man was then able to climb out moments before paramedics arrived. No one involved in the crash was seriously injured. Thank you, Shannon, for rushing to help a stranger in need and for demonstrating MCTS Excellence every day.